Udhav asks Sai if being dark is bad. Sai asks who told them. Govinda says Par’s mother has problem with Pari’s dark color. Sai says Ram ji is dark, Krishna ji was dark, Kali maa is dark, even then we pray them. Govinda asks then why Pari’s mother has problem with her color and is punishing her for that. Sai says Pari’s mother will realize her mistake after sometime. Keshav informs his mother Rukmini that he got his first contract with her help. Rukmini blesses her happily. Kulkarni claps hearing that and walking to Keshav that his son start his business without his help, he is so proud of him. He calls Anta and Panta and giving them money asks to distribute sweets among all villagers as his son become businessman without his help like he became vaidya without his father’s help, he is so happy today, asks Rukmini to prepare feast. Chuiya hearing his conversation walks to him. He asks Anta and Panta to fill her mouth with laddoos for whole day, asks Keshav if he will not take his father’s blessings. Keshav touches his feet. He hugs Keshav and grins, planning something evil. Two men come to Sai seeking justice. One says his father was nearby temple’s priest who passed away, hence he should become priest as per family lineage, but his father’s student told villagers that his father made him priest before her died. Another man says he is more competent that priest’s son, they both got education from priest, but he was always superior to priest’s son, so he should be priest. Sai says god will decide who will be priest. Man says how will god decide. Sai says god has many means to inform his decision. Shubhangi wakes up Pari in the morning and asks her to start household chores. Pari brooms house and lawn. Shubhangi asks to help her in kitchen next and light up wood stove first. Pari coughs due to wood smoke. Shubhangi says keep trying she will learn soon. Pari lights stove and smiles. Shubhangi asks her next to make rotis. Pari makes uneven rotis. Shubhangi scolds her to make round rotis. Pari says what differences does it make if roti is square or round. Tara laughs hearing that. Shubhangi continues scolding her. Pari makes round roti and smiles. Shubhangi asks to make another roti and goes to wash clothes. Pari sees roti burnt and hurriedly tries to pull it from tawa and burns her hand. Tara rushes to her and says Pari can make roti, she will heat it. Shubhangi stops her and says let Pari do her job, sees burnt roti and scolds Pari. Pari stand crying holding her burnt hand. Sai gives 2 pots to priest aspirants and says they both have to revolve around Maruthi mandir. Priest’s student asks where is it. Priest son says he saw it on the way. 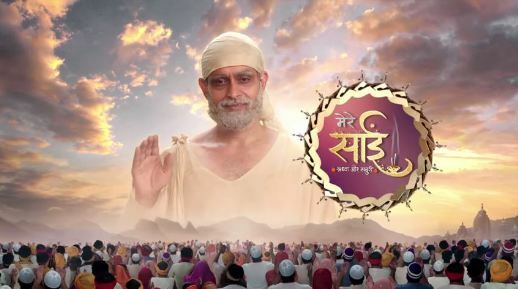 Sai asks to revolve around temple chanting Ram and without spilling even a drop of water out of pot, whoever chants Ram more and returns fast will become priest. They both agree and walk away. Pari asks Shubhangi where is her food. Shubhangi asks to pick it from kitchen herself. Pari sees burnt roti and asks how can she eat it. Shubhangi says it is a punishment and lesson for preparing burnt roti. Pari asks sabji. Shubhangi says she will not get sabji and it is her choice to have roti or be hungry. Pari walks to living room holding burnt roti. Shubhangi feels guilty and thinks she is doing this for Pari’s better future. Pari tastes roti and says it is very bitter. Shubhangi asks Tara if she needs more rotis. Tara says 2 more as she is feeling very hungry. Shubhangi serves her 2 rotis. Tara gives roti to Pari and asks her to throw burnt roti. Pari says she cannot as Sai taught not to waste food, so she will have burnt roti. Sai holding roti hears that via telepathy and smiles. Tara asks how will she have bitter roti without sabji. Sai puts his roti in water and mixes it with his finger. Pari’s water glass also shakes and changes its color to white. Pari is surprised to see that and eats her roti with it, smiling. Sai smiles seeing her smiling. Precap: Pari gets severe stomachache. Shubhangi gets tensed. Sai touches Pari’s stomach and notices fire in stomach.